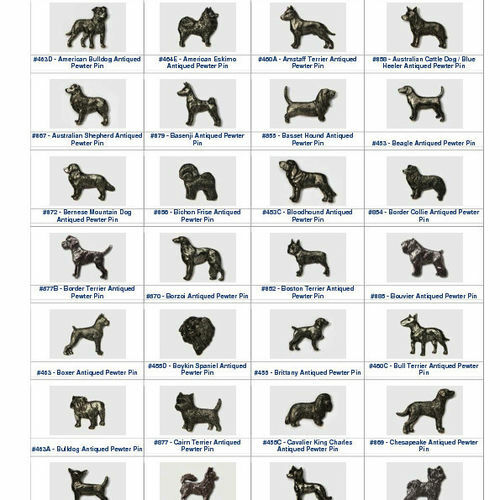 Below you will find an small image containing dog lapel pins. If you double click on the image it will bring up a full list. Please note that we do not shock all of these key rings but we are able to get them.